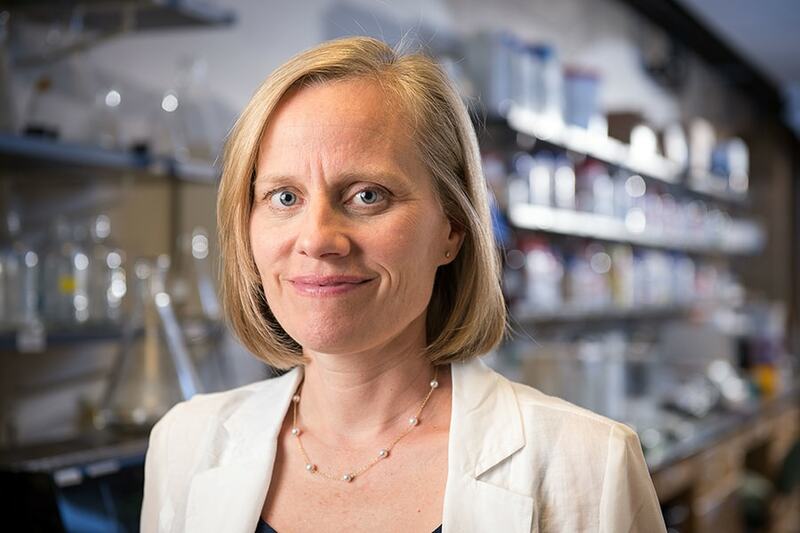 Professor of Biological Sciences Alison Barth wrote a chapter in the newly published book, "Think Tank: Forty Scientists Explore the Biological Roots of Human Experience." For the book, 40 leading brain researchers were each asked the same question: "What idea about brain function would you most like to explain to the world?" Barth's essay looked at how our brains change when we use tools. Barth’s research focuses on how the brain changes in response to learning through tactile sensation, the physical way that we interact with the world through touch. In her essay, she explores how our physical perception of self can be rapidly — almost instantly — altered by the things we touch, a form of neural plasticity. Find out more. ﻿Teaching Professor of Information Systems Raja Sooriamurthi has been named the recipient of the Heinz College’s Martcia Wade Teaching Award, an annual honor recognizing excellence in teaching. Sooriamurthi was praised for his “unmatched energy, intellectualism and dedication to student learning.” He received the award at the Heinz College diploma ceremony, where he addressed the graduates and their families. Sooriamurthi teaches a range of classes in using data for decision-making. He is co-author of the book “Guide to Teaching Puzzle-based Learning.” He also holds a faculty appointment in the Dietrich College of Humanities and Social Sciences. ﻿Jim Daniels, the Thomas Stockham Baker University Professor of English, wrote a piece for PublicSource titled "I’m a slow learner when it comes to race, but I’m trying." Daniels, who has taught at CMU since 1981, founded CMU's Martin Luther King, Jr. Writing Awards program in 1999 to give students a safe creative space to write about race and discrimination. "Given my background, I know how easy it is to spout platitudes about unity while safely ignoring personal complicity and complications. When it comes to writing about minorities in America, us white folks quickly become the minority. We have the choice about whether we want to write about race or not, and many of us choose not to wake up those slumbering ghosts in our closets or wherever we've conveniently hid them,” Daniels wrote. ﻿Alex John London, a prominent bioethicist, co-authored a viewpoint article in "PLOS: Neglected Tropical Disease" on the ethics of clinical research during public health emergencies. The paper describes key findings and conclusions by a committee established by the National Academy of Sciences, Engineering and Medicine to assess the clinical trials conducted in Guinea, Sierra Leone and Liberia. “The latest outbreak of Ebola in the Democratic Republic of the Congo is a tragic reminder that public health emergencies are often unpredictable, complex situations. It is critical that stakeholders recognize the lessons that we have learned from the 2014-2015 outbreak,” London said. London is the Clara L. West Professor of Ethics and Philosophy in the Dietrich College of Humanities and Social Sciences. Find out more. ﻿A new study published in "JAMA Pediatrics" and co-authored by Statistics and Data Science Professor Joel Greenhouse shows that racial disparities in suicide rates are age-related. Specifically, suicide rates for black children between the ages of 5 and 12 were roughly two times higher than those of similarly aged white children. “It is important not to lose sight that very young children of all races are at risk of suicide,” Greenhouse said. “Descriptive studies like this are important for identifying trends in suicide rates. However, they leave open the question as to why there are differences.” Learn more. Alison Barth wrote a chapter in "Think Tank: Forty Scientists Explore the Biological Roots of Human Experience."